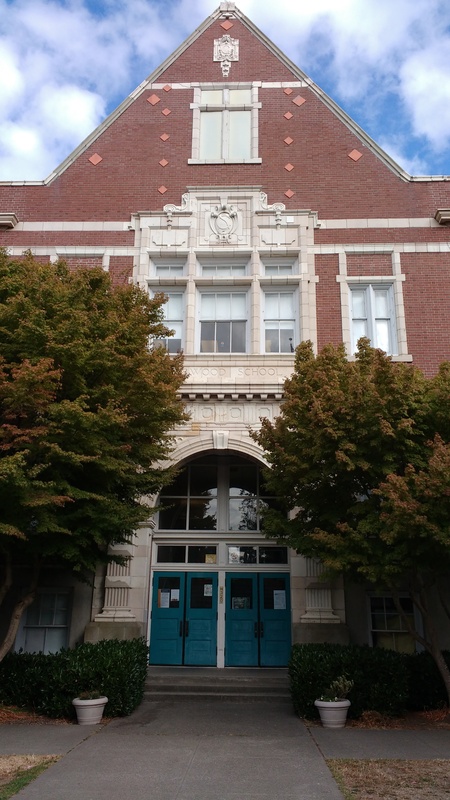 Gatewood Elementary is a K-5 elementary school located in West Seattle with 400+ students. Hi, I’m Sandy Lennon, and I’m heading up Gatewood’s green schoolyard project. The parent of three students in Seattle Public Schools—now in elementary, middle, and high school—I’ve been actively involved in our schools since 2006. A background in global health and economic development, as well as personal interests in community food access and healthy eating, have led to some of my efforts at Gatewood: introducing The Passport Club world geography program that’s been part of the school now since 2008; initiating our partnership with the West Seattle Food Bank in a food backpack program for students in need; and working with the school community to encourage healthier choices for school snacks and celebrations (guidelines here). As a home gardener, I’m currently on a steep learning curve inspired by permaculture. During a recent push to add more edibles in our own yard, I took a food forest class offered by the Cascade Water Alliance and enrolled in a permaculture design course sponsored by Seattle Tilth and taught by Toby Hemenway, author of Gaia’s Garden and The Permaculture City. Seeing an opportunity to transform some neglected outdoor spaces at Gatewood—and to provide our students with more opportunities for connection with nature, their food, and outdoor learning—I proposed our school as a design project. An enthusiastic, well-rounded team from the course came together to propose a design for the learning garden / outdoor classroom. The school and community are rallying in support of the garden and much-needed improvements in our playground. I’m excited to see what we can do and hope that sharing our journey will be helpful to others.